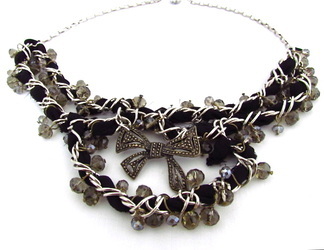 Sweet daintiness of Bowess is classically contrasted with modern edge. Embellished with crystal and brass bow. 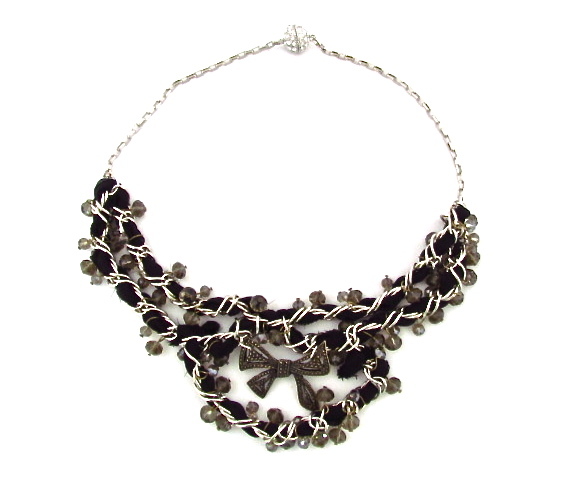 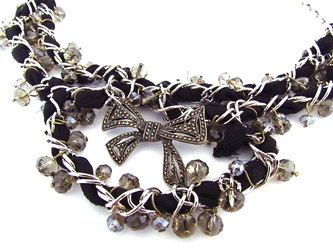 Black chiffon woven, silver plated chain finishing.